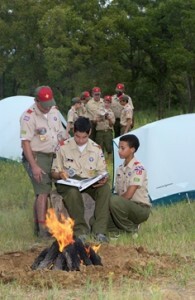 Boy Scouting is available to boys who have earned the Arrow of Light Award and are at least 10 years old or have completed the fifth grade and are at least 10, or who are 11, but not yet 18 years old. The program strives to achieve in developing character, citizenship, and personal fitness. Contact Us: Please call Brian Moskovitz at 562-506-7817.